When Middletown and Mechanicstown, NY drivers compare the 2015 Honda Civic with the 2015 Hyundai Elantra, they want to know which vehicle offers the safer and more comfortable ride, as well as the superior efficiency ratings. We’ve taken the time to compare each vehicle, so you don’t have to. LX: Starting at $18,490,* you’ll enjoy a suite of convenience technology, including Bluetooth HandsFreeLink and an SMS messaging function. SE: Starting at $19,990,* the SE adds comfort with automatic climate control and safety with a Honda LaneWatch system. EX-L: The ultimate Honda Civic is available for just $22,840,* and comes with leather-trimmed seats that are fully heated in the front. EX-L with Honda Navigational system with Voice Recognition: For a starting price of $24,340,* the luxurious EX-L can be fitted with a high-end satellite-linked navigational system. SE: For a minimum price of $17,250, this entry level model provides an extremely basic level of comfort and convenience, with air conditioning supplied as standard. Sport: Starting at $21,600, the Sport employs automatic LED headlights and adds some features that are normally standard across all trims of other vehicle, such as Bluetooth. Limited: For a minimum of $21,700, the best available Elantra allows drivers to use a Blue Link telematics system. 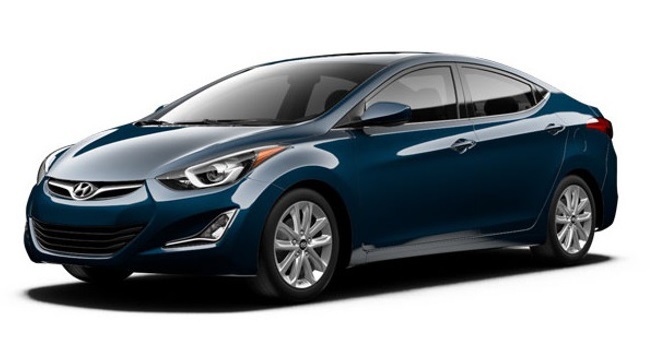 Despite only offering three trim levels, the 2015 Hyundai Elantra offers two very similar engines: a 1.8L Inline 4-cylinder and 2.0L Inline 4-cylinder, with a choice of either 6-speed manual or 6-speed automatic transmission. This means that the Elantra boasts a slightly higher power output than the 2015 Honda Civic, but sacrifices efficiency in its yearning to do so. 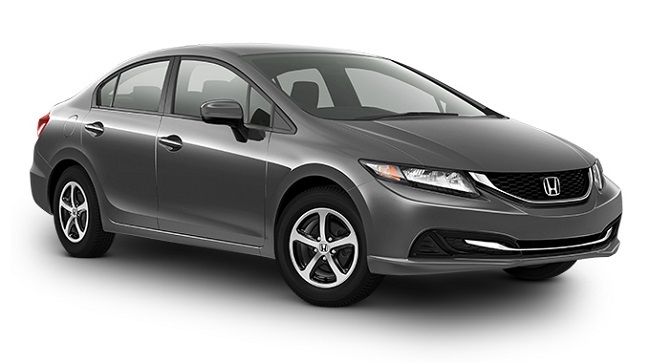 The 2015 Honda Civic comes with just one engine, but can be fitted with a Continuously Variable Transmission to provide enhanced refinement of the vehicle’s power. You’ll be able to achieve 30 mpg in the city and 39 mpg on the highway** in a 2015 Civic LX with CVT – both higher figures than you’ll attain in the Elantra. Ask yourself how frequently you sit in your sedan and wish for more horsepower or torque. Now ask yourself how often you wish you didn’t have to spend so much time topping up your gas tank. Those who spend more time thinking about the latter should pick up a 2015 Honda Civic. The 2015 Hyundai Elantra cuts corners in order to drop the starting price below that of the 2015 Honda Civic, but this dramatically lowers to quality of interior equipment. Several features that have come to be standard in entry-level sedans –such as steering wheel-mounted audio controls and Bluetooth connectivity – are noticeably absent from the Elantra, forcing you to pay more for what should have been provided without cost. Honda Eco Assist: This helpful amenity provides minute-by-minute monitoring of your power usage, helping you save fuel. 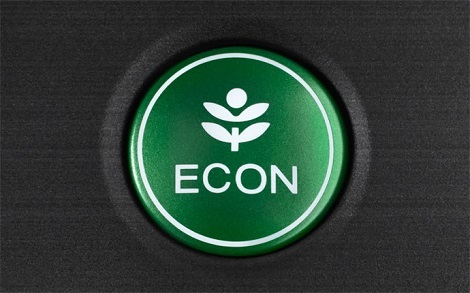 ECON Mode: Giving you the power to choose between acceleration and fuel economy, pressing this button automatically configures the engine to perform more efficiently. Simply put, the 2015 Honda Civic gives you the technology you’ve come to expect from this class of vehicle, and then goes further. 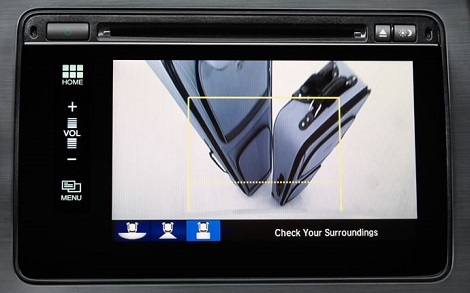 Rearview Camera: Allows you to reverse without risking a collision and maneuver in tight spaces. Engine Immobilizer: Stops the vehicle from functioning when a non-standard key is used in an attempt to start the engine, protecting your Civic from theft. 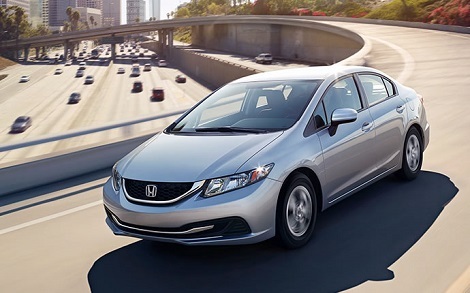 The 2015 Honda Civic is a truly superior vehicle, and it’s available now at Middletown Honda in NY. We’re just a short drive from Mechanicstown, and we hope to see you soon! ** 30 city/39 highway/33 combined mpg rating for CVT models. Based on 2015 EPA mileage ratings. Use for comparison purposes only. Your mileage will vary depending on how you drive and maintain your vehicle.